Who doesn't love soft pinks picked straight from the meadow? 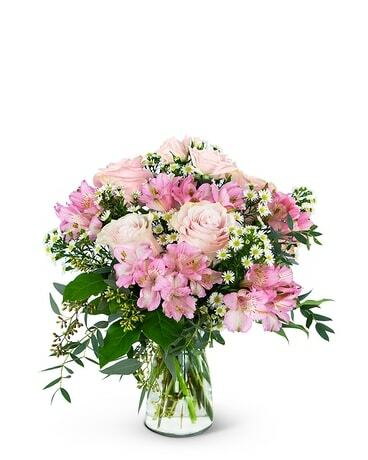 The Soft Pink Meadow arrangement features a mixture of Pink Roses & Alstroemeria. The Monte Cassino that surrounds these beautiful blooms gives the impression that this floral gift came straight out of the meadow.